San Pedro’s Solid Waste Transfer Station Manager Javier Magaña told The San Pedro Sun that he has seen an increase in the use of the Transfer Station. “After the huge SP BTIA clean-up last November, we have seen a tremendous increase in the use of the Transfer Station. We have more island businesses and residents disposing of their garbage properly,” said Magaña. 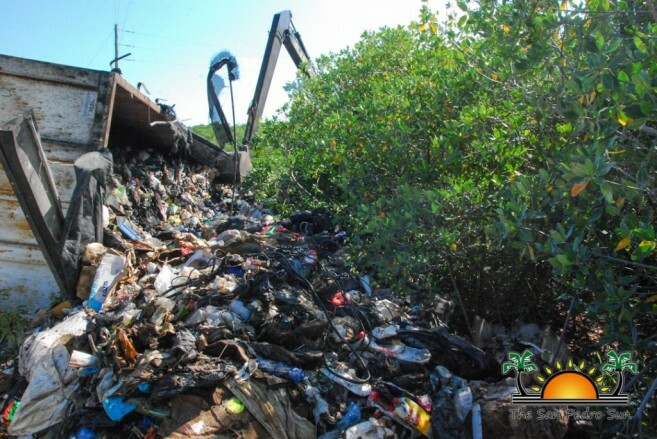 “People are becoming more environmentally conscious about the negative effects garbage has on both the environment and residents’ health.” He added that the Transfer Station would continue to work with the San Pedro BTIA and the San Pedro Town Council (SPTC) to develop a task group that will be actively monitoring illegal dumping all over the island. 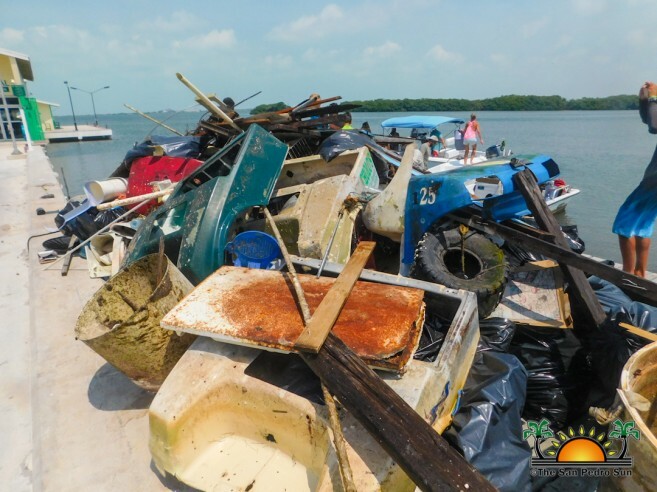 The San Pedro Sun also spoke to Mayor Daniel Guerrero, who stated that he is working on various plans to continue to tackle improper garbage disposal on Ambergris Caye. “In about two weeks, we will bring in someone that will help us educate island residents on how to properly dispose of their garbage, as well as how they can help in tackling this issue that affects all of us,” he said. Mayor Guerrero also added that a task group to monitor illegal dumping had not been put in place yet, but in the meantime, he has the SPTC sanitation workers and traffic officers keeping an eye out. “We are expecting to hire more sanitation workers in a few months to have a more efficient garbage collection process, and also more people on the ground who will be looking out for any illegal dumping,” he said. Mayor Guerrero also stated that due to the holiday he has not been able to fulfill his promise of placing No Dumping signs at areas where clean-up campaigns were done. “Due to the holidays, we have been very busy. However we should expect the No Dumping signs sometime in February. We should also be expecting our illegal dumping tickets soon,” said Mayor Guerrero. According to him, traffic officers will be in charge ticketing people who illegally dump garbage. “The fine starts at $500, so hopefully this can also help us tackle this issue,” said Mayor Guerrero. 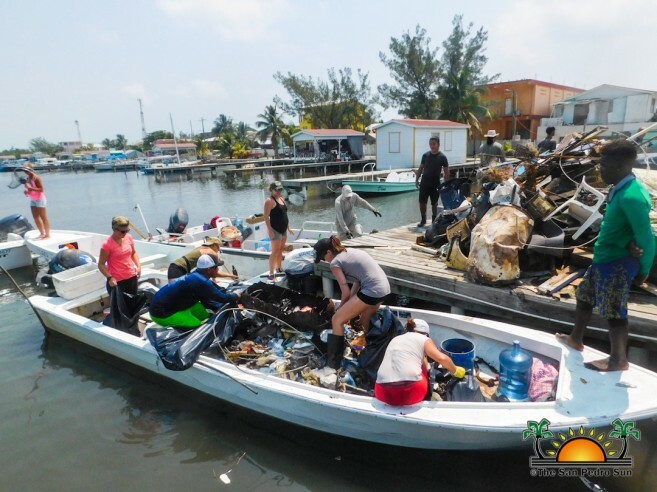 To date, one of the largest clean-up campaigns held on Ambergris Caye has been led by the SP BTIA hosted from November 9 to November 12, 2018. Over four days, more than 150 volunteers collected more than 900 bags of trash and 744 square yards of garbage, with 151 vehicle/truckloads delivering to the Transfer Station. 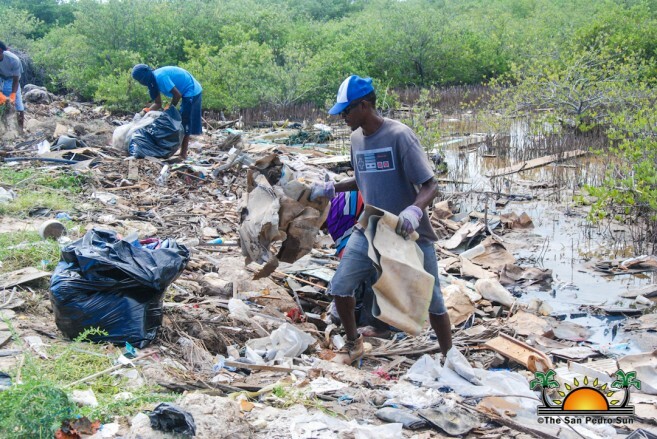 The goal of the SP BTIA four-day clean-up campaign was to pick up garbage from multiple locations in various neighborhoods, yet, due to the massive amounts of trash located in one area the San Pedrito Highway efforts were only focused on clearing that section. 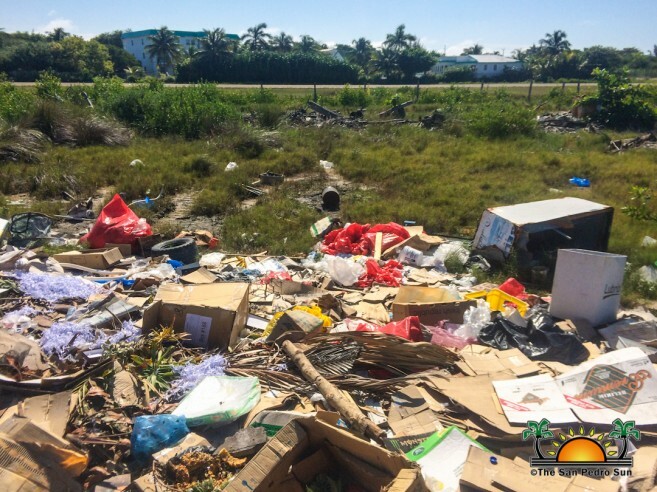 The most consistent clean-up campaign on the island is led by The Phoenix Resort which takes places every Saturdays at 8AM in front of their resort all the way to Blue Water Grill. Everyone is reminded that the Transfer Station, located on Marina Drive and is open every day from 8AM to 5PM. 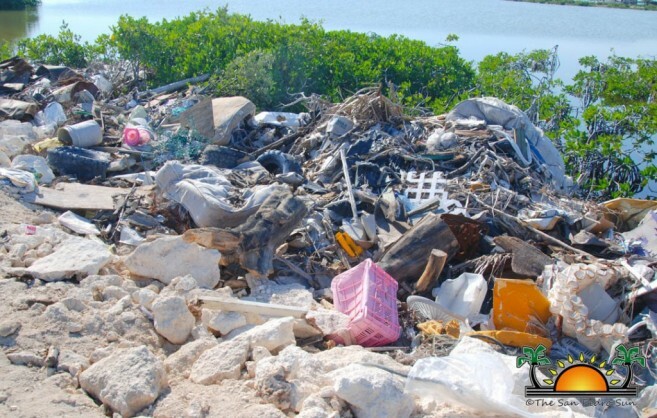 Island residents are asked to be vigilant, and if they see anyone illegally dumping garbage, to take photographs and report them to the relevant authorities. Everyone is encouraged to do their part in keeping La Isla, Bonita!